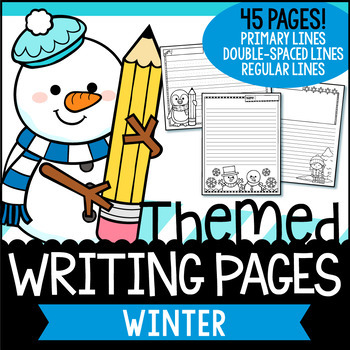 A collection of writing pages with winter themed designs! Included in this set are three design themes that come in five layout variations, and in three writing line options. Forty-five pages in total! 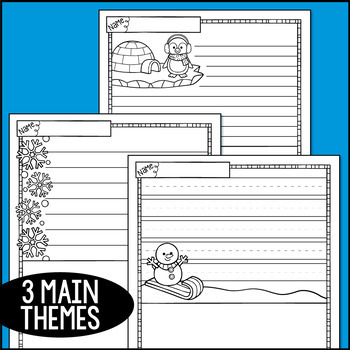 Use them for any writing activity you can imagine! 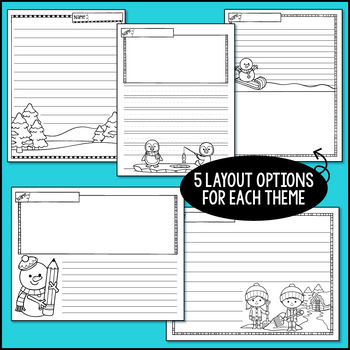 ⯈ Layout Styles: Portrait with top drawing area, portrait with bottom drawing area, portrait full page writing, landscape with drawing area, landscape full page writing. 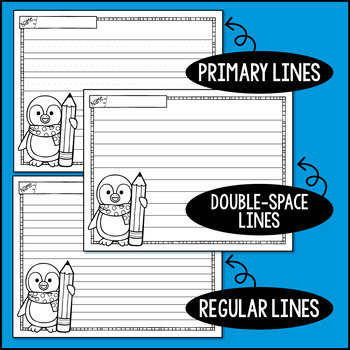 ⯈ Line Styles: Primary lines, double-space lines and regular lines.